K&R had the most liked content! 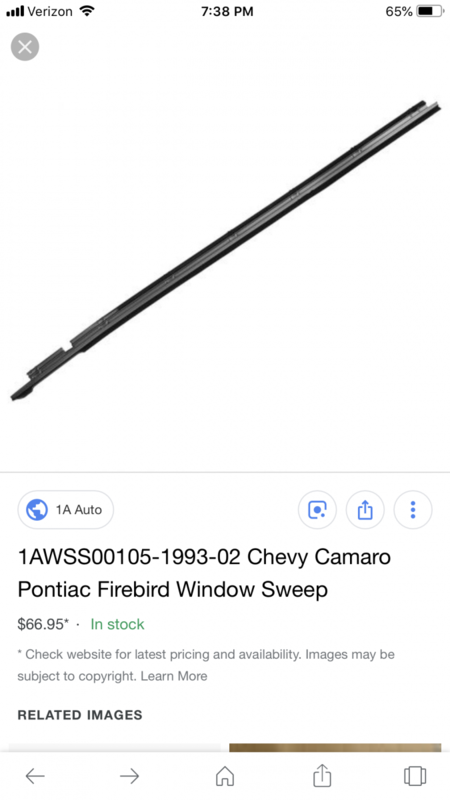 K&R, do you have a part number for the replacement sweeps? I don’t. 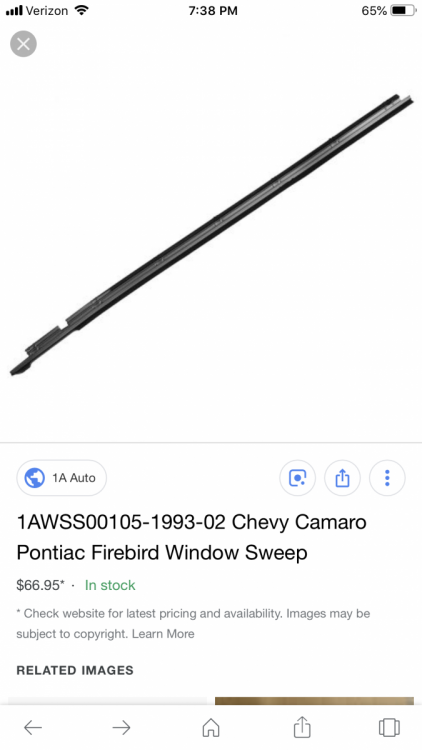 I used the outer door sweeps from the Camaro (1993-2002). There is a write up on here on how to cut and fit them and they look just like the original. A little shorter but you can’t tell. You have a convertible? Post some pictures!